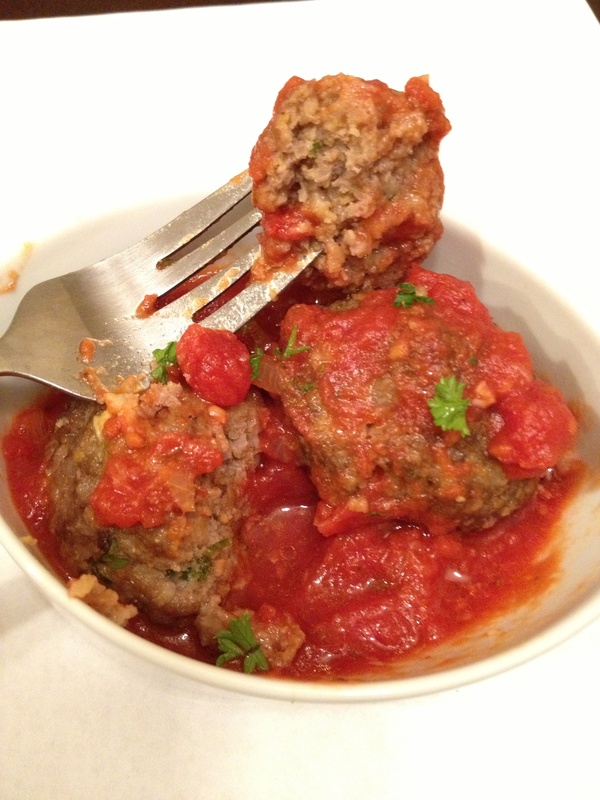 Mouth watering Gluten-Free Meatballs in a Spicy Marinara Sauce! My 2 little girls stand at the oven and wait, mouths watering, to get that first bite of these fresh off the press. My husband pops them in his mouth like they are chocolate covered and I am usually full before we sit down to eat…THEY ARE GOOD! I hope your family enjoys these as much as we do. I should also mention that this is a great recipe to get the kids involved in. Mix it together and let them finish it off, then have them help you form into balls! Don’t forget to wash hands first though!! Preheat oven to 350 degrees. Combine beef, garlic, eggs, cheese, parsley, salt and pepper in a large bowl. Use your hands and mix well. Add bread crumbs and then water, mixing well after each. Scoop level ice cream scoops of meat mixture into your hand and form into a ball. Place on ungreased cookie sheet. Bake for 30-35 minutes. Ingredients: This makes approx 2 3/4 quarts. 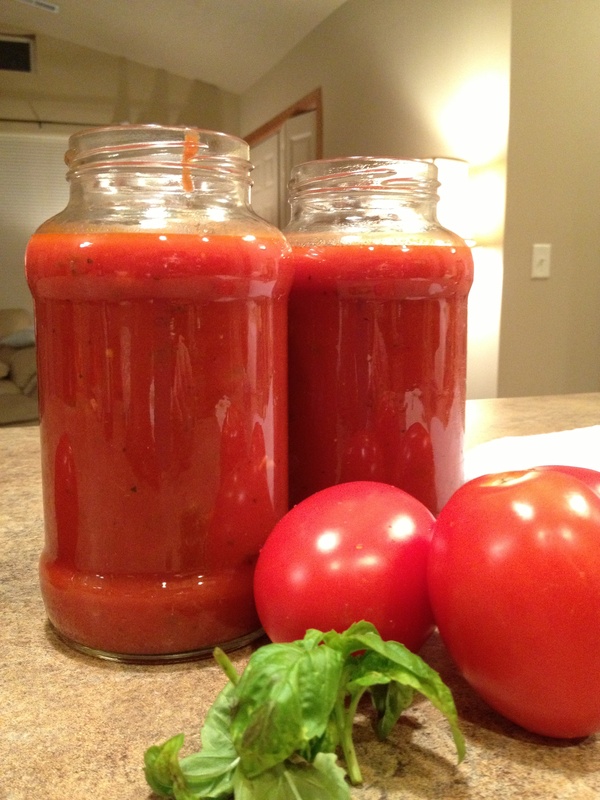 I freeze 2 jars worth for a later time! 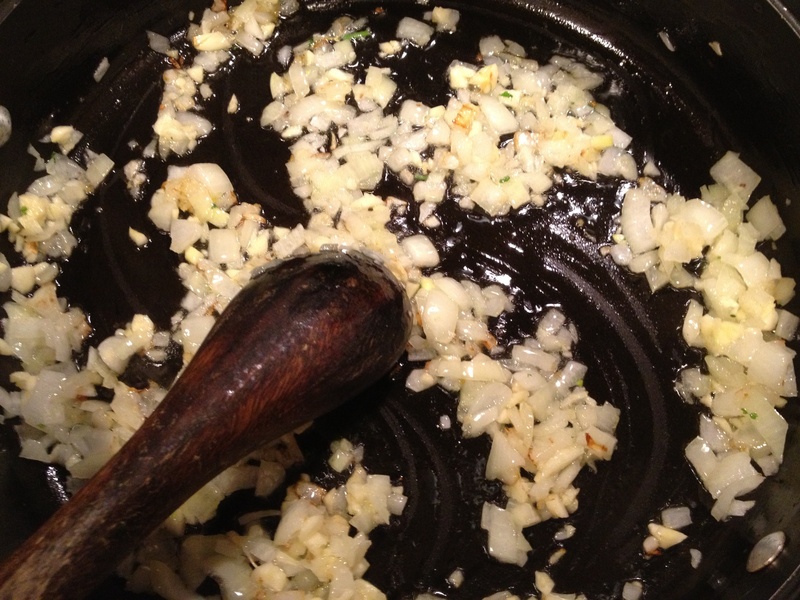 In a large sauce pan on med-high heat, add oil and saute the onions for a few minutes, stirring frequently. 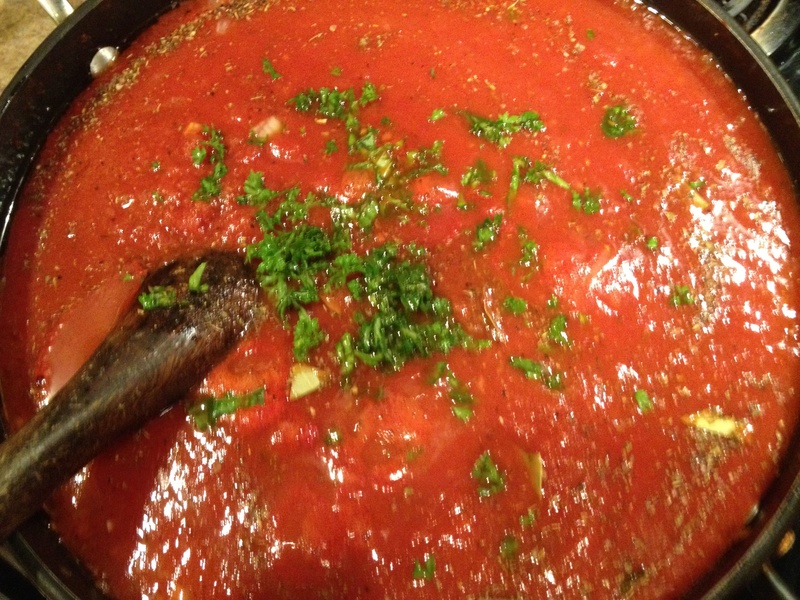 Add garlic and continue to saute for another couple of minutes…the smell is AMAZING! I’d love to hear your ideas and feedback! Enjoy….